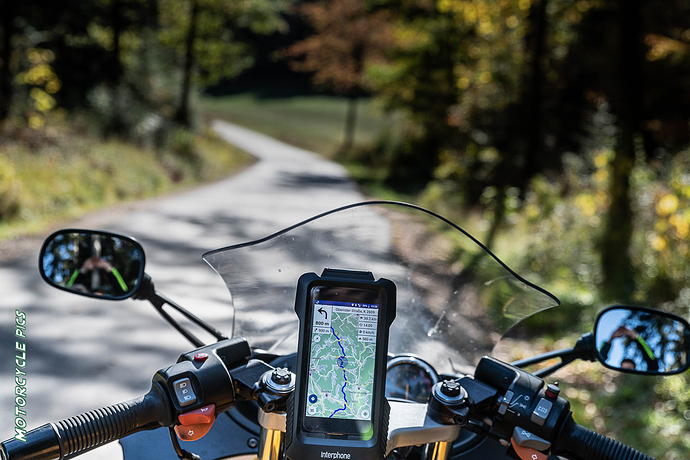 I found some information about a GPS-device named " Ricoel Kurviger.de Navigationsgerät, 5 Zoll mit 800nits Kontrast". Is there some kind of of collaboration with this hardware manufacturer or are they using the brand kurviger.de without any reason? Theoretically it sounds interesting to have an cheap alternative to our precious and vulnerable smartphones. they using the brand kurviger.de without any reason? I haven’t heard of this device. They are using the brand Kurviger without permission. Also I could only find the device in one webshop where it is not available and the shop seems to be closed. I don’t know if it would be possible to order it, but I recommend to stay away from it, it might a scam. I know that some people use “rugged” outdoor smartphones from CAT or Cubot. I haven’t heard of any problems with these devices (or at least I can’t remember ). Personally I use a regular Android smartphone but I bought a good mount. I use this mount, it’s waterproof, readable under sunlight, protects the phone from vibrations. I use it for over two years now and I am still very happy with it. I have an older version of this mount though, but it looks exactly like the one on the image, probably just the dimensions are slightly different. Also Kurviger app(s) are provided and supported officially only via Google Play. The mentioned website will be closed by mid of december. I think the navi is a chinese prolech mt5101 with kuriger app installed. The mentioned website will be closed by mid of december. Yes I have seen that . Everybody coming together to protect our beloved brand, I friggin love it!